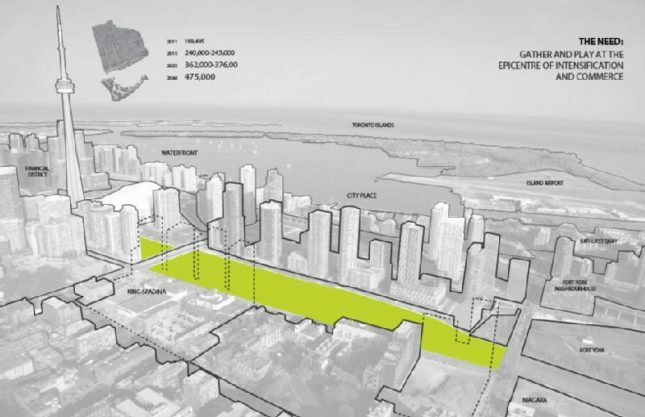 Toronto Mayor John Tory has announced plans to protect 21 acres of downtown real estate for the future Rail Deck Park. The park will be placed on top of an existing rail corridor. According to the city, this may be the last opportunity to create a public park for the city’s expanding downtown population. According to the Ontario Ministry of Finance, greater Toronto’s population is projected to increase by over 2.8 million, or 42.9 percent, in the next 25 years. The population of downtown Toronto is expected to double. Public improvements like this proposed park take an important step toward preparing the city for a long-term population boom. This announcement comes as part of Toronto’s TOCore initiative, which is set up to ease downtown into this more populated future. TOCore is a long-range plan to create infrastructure and amenities to accommodate a significantly higher population density. Among the planned improvements are more options for bike commuting, new community facilities, and, of course, new parks. 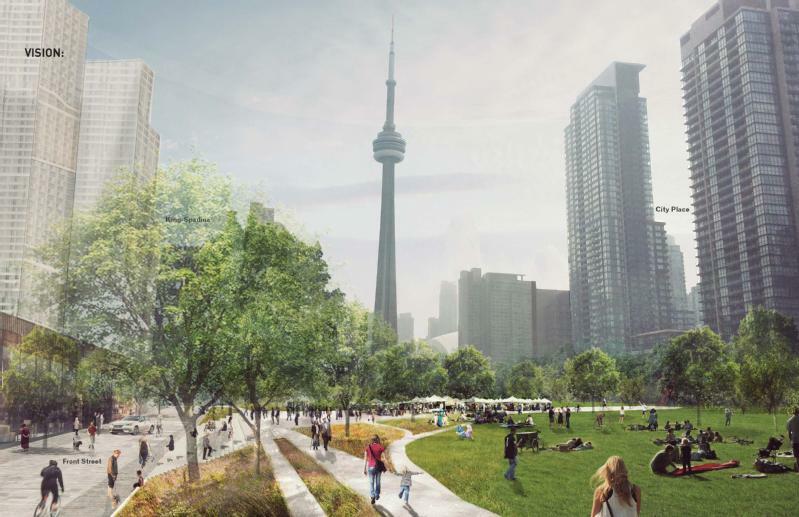 The park will be built on what is now Toronto’s western rail corridor, on a site that spans from Blue Jays Way to Bathurst Street. No other details are available yet. Toronto will follow in the footsteps of Chicago’s Millennium Park, Philadelphia’s University City, and Hudson Yards in Manhattan by capping a rail yard to make room for new development.